Since its introduction on the market, there have been constant doubts and dilemmas about which kind of a water heater is better- is it the storage tank or tankless water heater? 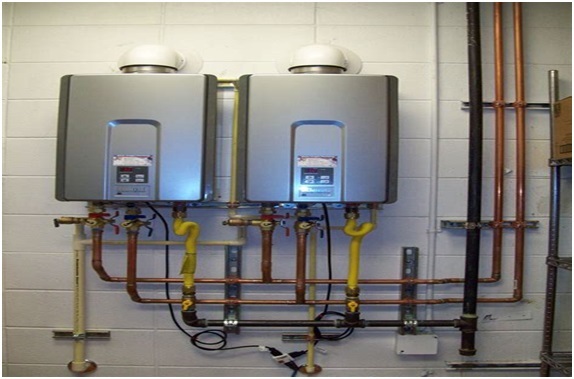 For most of you who do not know what is a tankless heater is, it is a kind of a heater easily installed in some convenient part of your household, and the most critical advantage it possesses is that it can heat up water when you need it. That is why it’s also widely known as an on-demand heater. Also, you can heat up your house, or you could enable single points of use, meaning you could install a separate heater for your sink, shower, and appliance. Before deciding to purchase a tankless heater, there are a few things you need to be aware of. You can read more about it here. And then, you can easily make a decision if this is the right choice for you. Keep in mind, the primary costs may scare you away, but most homes find it more agreeable and eventually, it pays for itself through savings. Imagine coming home after a long day at work, all tired and sweaty, eager to take a hot bath or a quick shower to wash away the stress, and you find out that you don’t have enough hot water. It is a nightmare. That can be prevented with purchasing a tankless heater. You do not have to worry about pre-heating the water. The only thing you have to do is to turn on the faucet, and hot water will be immediately ready for use. Also, don’t worry about running out of hot water because the amount of water is not limited to the storage of the tank. So, you can relax and use up all the water you need, not worrying about if there will be any hot water left for the other members of your family. Furthermore, if the pre-heated water of the traditional heater isn’t used up by a considerable amount of time, it goes to waste, and if you need hot water later, you have to turn it on again and use up electricity. That is not the case with these modern water heaters, because they don’t store up water. So, you actually save up on energy as well as electricity. Their most appreciative feature is that they do not take up that much space as the typical water heaters. Tankless heaters can easily fit into a tight space whereas we all know how huge the tradition heaters can be. We are all accustomed to them taking up a third of our bathrooms. The usual size of the tankless heater resembles that of a small suitcase. It can be effortlessly installed on any wall in your house. You can even put it outside of your home. Most people are quick to dismiss the option of installing an on-demand heater when they hear about the initial costs of purchasing and installation. However, it has been proven that these heaters really do save up in energy costs. That is why most households opt for them instead of the traditional tank heaters. They are also the greener option, because in the case with the tank heaters you have a guilty conscience worrying about its disposal and its impact on the environment. While the traditional water heater lasts up to an average of 6 years, it is known that the tankless hot water heater has a warranty for an average of 15 to 20 years. You are in no danger of having any leaks, harboring harmful bacteria, having it tip over due to unfortunate natural causes or most importantly, leaking carbon monoxide. Also, storage tank heaters are prone to defects and faults as they age. Therefore, constant repairs and plumbers will have to be paid. Their maintenance proves to be quite pricy. Furthermore, when they become older, they can develop rust and scales in their tanks. That can impact the water you are drinking and using for other purposes. Nobody wants to think about that. This is not a problem with the tankless heaters because there is no storage. The water just passes through the unit.